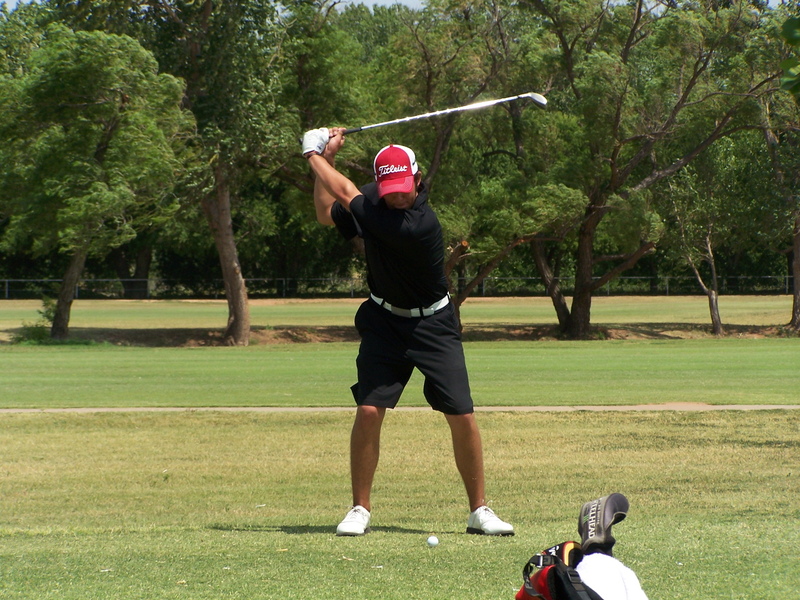 At the Texas-Oklahoma Junior Golf tournament in Wichita Falls. DS didn’t play as well as we hoped, or as well as he is capable of, but that’s golf for ya. Still, we had fun and enjoyed some good family time. We stayed at the Candlewood Inn & Suites, a pet friendly facility. I give the one in Wichita Falls two thumbs up, and would definitely stay there again. I’m going to take a moment to brag on my son, and to rant a bit. As frustrated as I’m sure he had to feel at times, he carries himself with dignity and grace on a golf course. Of course, he knows if he were to act the way some of the kids are allowed to act by their parents, that we would pull him right off and take him home. What is up with parents standing by while their 16 yr. old is throwing his golf club, even dropping the “f-bomb” or other curse words? I cannot stand tantrum throwing on a golf course. DS did win the long drive contest for his age group, and got a little trophy for that. We got home yesterday, and I’m so glad to have the weekend before having to go back to work. 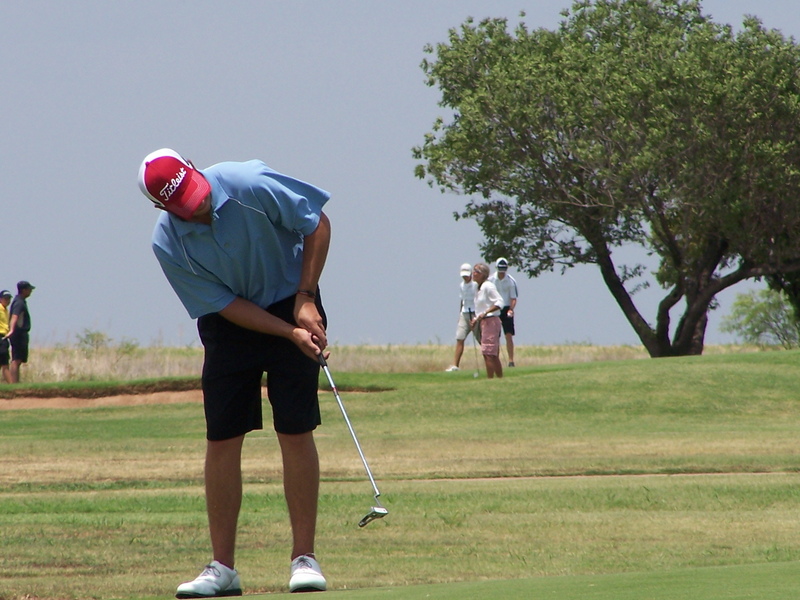 Four days on the golf course, in the high 90’s and low 100 degree temperatures, wore me out. 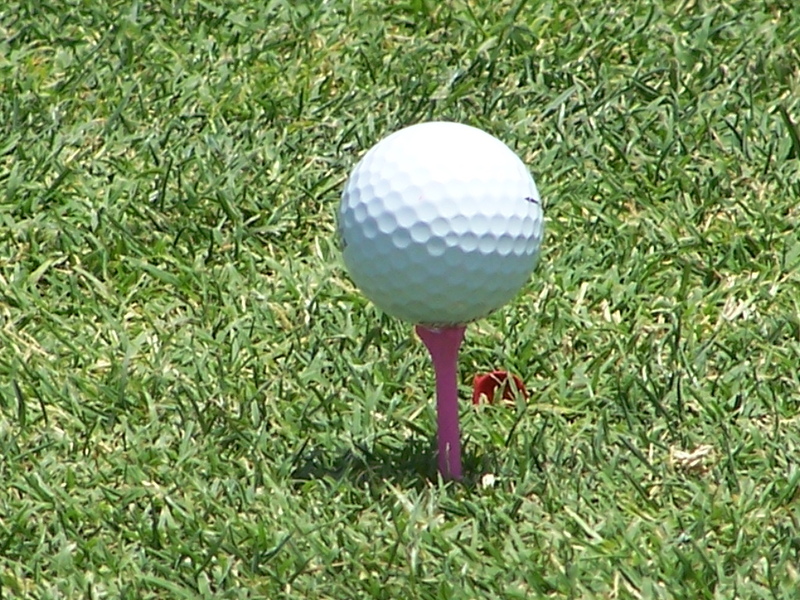 And in case you didn’t know, real men use pink golf tees…lol! Glad you are back home and can get some rest. You must have raised your son right that he don’t act like some of the others. You can be proud of him. Have a great weekend. Glad to hear you are back. Get some rest and enjoy your weekend. Cute pink tee. Randi, I missed you and your posts. Your son sounds like a pretty great young man. Good for you (and your DH) for teaching him how to channel his frustrations/anger in an appropriate manner while on the course. I dislike seeing (or hearing) full out tantrums during any sporting event. Makes me appreciate those who contain their frustrations, all the more. The pink tee photo made me laugh. Enjoyed your update. So glad there are other parents out there that teach their children to be good sports. My DH played softball and it made me so upset when grown men were throwing their bat around because they didn’t get a hit! It was a terrible example for the children in the stands. Way to go! Train up a child in the way he should go and he will not depart from it. Awesome Job! Welcome back! I am so pleased that you and DH travel with DS. He must be proud to have his folks there – even if he is not shooting his “A” game. It is a wonderful experience for him and continues to teach him your basics of when and where and HOW to release his frustrations. Good for y’all. Randi – so glad you and DH are teaching your son to be a good competitor. My DH (fondly known as “the Ref” sees more parents acting inappropriately than the young athletes. And he doesn’t hesitate to send them to the parking lot. Rest up this weekend – stay cool. Glad to have you back with us.